I’ve gotten a couple of music books in the mail recently and springtime (and really, any time) is a great time to learn a new instrument or build your skills on whatever you’re currently playing, sitting out on the porch enjoying the longer days and later sunsets. 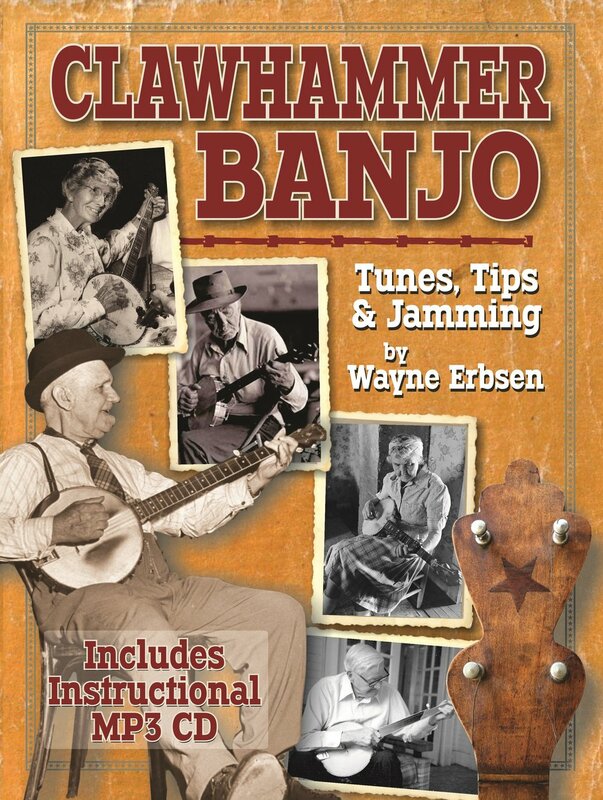 I’ll start by taking a look at Wayne Erbsen’s book on clawhammer banjo. Like most players of “an age” I grew up learning tunes from various instruction books going all the way back to Pete Seeger’s classic How to Play the 5 String Banjo. This was of course before the days of the internet or even video cassette players, which led me to ask the following question as I cracked open this book: “Are music instruction books obsolete in this day and age?". and if not, "What place do they occupy in the world of music instruction or how best can they be used?" I believe the answer to my first question is “No” and I’ll endeavor to share my answers to the follow up question by looking at this instruction book. The book is laid out in a thoughtful way, the print is large enough to read easily, and that’s not just a factor for some of us more senior members of the community, the layout is easy to follow or scan. One of the benefits of a book like this is that you can easily peruse the pages to find something that interests you, skip back and forth between songs or stories and easily find what you’re looking for. Another word about the layout – I appreciate the fact that the songs, with that large easy-to-read tab and lyrics appear on one page. With the spiral binding you can flip open the book to the song you’re working on and even play outside on a windy day without the pages flapping and flying around. One of the great joys of Wayne Erbsen’s books is the wealth of stories and background information on the songs. His books read like an old friend in casual conversation. The book opens with background information on the banjo and it’s place in old time music. The basic vocabulary, from songs versus tunes to pull-offs, hammer-ons and such are all covered succinctly. There are plenty of tips on getting the proper sound and making the playing experience more enjoyable. A CD is included with mp3 recordings of all the techniques as well as the songs. You could easily load the 78 tracks onto your iPod for practice, or choose a few to work on at a time which is what I did. The songs are played slowly and then a little faster. The melodies are tabbed out in a very straightforward manner, you get the melody loud and clear. Erbsen describes it as teaching the “Naked skeleton of the songs”. I appreciate this kind of arrangement because any player, myself included, is going to add their own touches to the song and for a beginner being able to clearly hear the melody is essential. While this books is oriented towards a total beginner on the banjo, a more seasoned player might pick it up for the songs. Once you’ve mastered the basic techniques you’re invited by the author to play the songs in any order you like. For a total beginner this book gives you in a few pages a solid foundation on clawhammer banjo techniques and song structures that you can expand upon. Toward the end of the book there’s information on jamming and playing with others. Again, Erbsen does a great job of condensing the vital information into a few enjoyable pages. I’ve been playing for decades and teaching for a long time as well and I enjoyed reading his comments on “Jamology” as well as the stories about all the songs. I’ve been a fan of Wayne Erbsen’s books for some time now, his Rural Roots of Bluegrass book is one I recommend to anyone getting into the genre as a player or just a fan. Clawhammer Banjo, Tunes, Tips and Jamming is a excellent addition to any music library. If you’re a beginner this is a friendly place to start and if you’ve been playing for a while, here’s a set of songs to enjoy plus some wonderful stories and background information you might have missed along the way.